Marshall County Courts Move to Odyssey. Court record access through Doxpop continues without interruption. 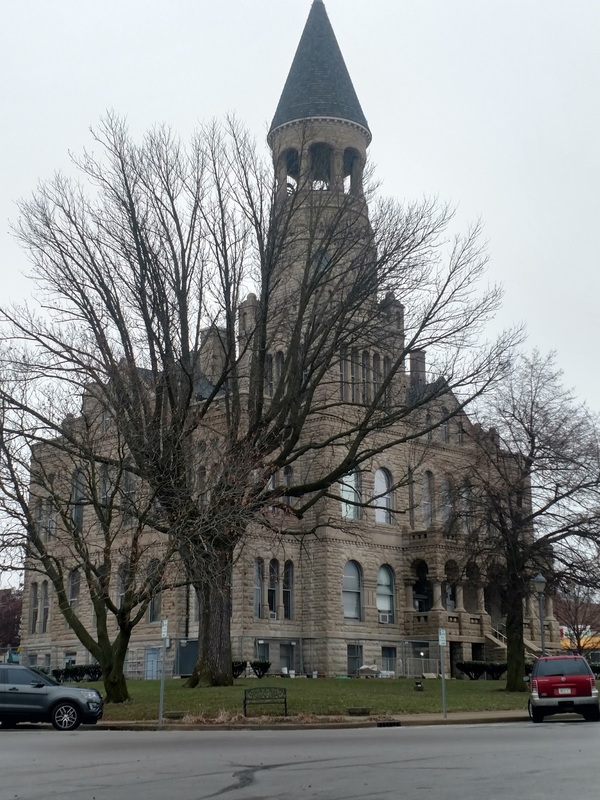 Over the weekend of January 21st/22nd, the Marshall County Courts converted to the Odyssey case tracking system, thus moving their data storage and administration to Indianapolis. If you use any of our "watch" services to keep an eye on cases or people of interest, we will be moving those watches over so they point to the cases and people that are a part of the Odyssey data feed. We run a process to convert these twice each day, but it is possible for notification of events to slip through the cracks between conversion runs so you may want to periodically do a manual check between now and the first week of February, after that, we'll be back to normal. Additionally, Tax Warrants have been moved out of the court case management system as a part of this transition. Doxpop intends to release a new service next month that allows complete statewide searching of tax warrants for all counties. In the interim, you can obtain this information at the clerk's office. Voluntary e-filing begins today in Washington County. In a couple of months, it will become mandatory for subsequent filings. In preparation, Doxpop visited Salem last week to present a CLE training session for the Washington County Bar Association. Special thanks to Doug Leatherbury for arranging the training session, and Mama Rosa's for hosting us and providing a great buffet! After the training session, we went over to the courthouse to visit Sarah Milligan, the newly elected Washington County Clerk. Sarah took office on January 1 with completely new office staff, who are all doing a great job at quickly coming up to speed on how to run the Clerk's office. Her willingness to take on the implementation of e-filing during her third week in office is impressive! Please join us in thanking her and the staff for their hard work and efforts to improve the office. Marion County has posted two proposed local rule changes, one of which may take effect today. The complete list of local rules and proposed changes may be found here. The most urgent change eliminates fax filing in Marion Superior and Circuit Courts. This may result in eliminating fax as an alternative to e-filing. You can download that rule proposal here. The proposal specifies that the change takes effect today, 1/6/17. Eliminates the requirement to file the original will, instead specifying electronic filing of the will along with an affidavit attesting that the electronic document is a scan of the original. The form for this is appended to the amendment proposal (linked below). Removes the requirement that most personal representative and guardians must appear in court. This proposed change is to take effect a week from today, 1/13/17. Download the proposed order changing probate rules here. 1) E-Filing is now required for case initiation in Hamilton County. Remember that when initiating a case via e-filing, you are responsible for registered mail and delivering documents to the sheriff for service. In Hamilton County, you pay the sheriff directly for service. Most Sheriff's offices require three copies. 2) Subsequent filing on civil cases only is now mandatory in Wells County. E-filing on criminal cases is still available but optional for Wells while they work out a few kinks in the system. 3) Four new case types have been added and one has been retired. DR has been retired. Cases filed prior to 2017 will retain this designation, but it won't be used going forward. DN is the new designation for Domestic Relation (Divorce) cases not involving children. DC is the new designation for Domestic Relation (Divorce) cases involving children. TS is the new designation for an application for judgment in a tax sale. TP is the new designation for a verified petition to issue a tax deed. The domestic relations types are fairly self-explanatory. The new tax sale designations are particularly helpful for abstractors and folks dealing in real estate. These used to be buried in miscellaneous civil, making them hard to search for. The new types will make life much easier for researchers looking for liens or tax deeds on real property. 4) There are no big changes to the e-filing rules. This isn't really a change, but it is notable that nothing in Trial Rule 86 changed. That was unexpected after the many changes we saw in 2015. This is a great sign that Indiana's system is past many of its growing pains! 5) Next up for e-filing: Washington County on 1/16, and Allen & Posey Counties on 2/16. Give us a call if you need help preparing to e-file in these counties! Click here to see the entire list of rule changes that took effect during 2016 or on 1/1/2017 on the State Court's web site.